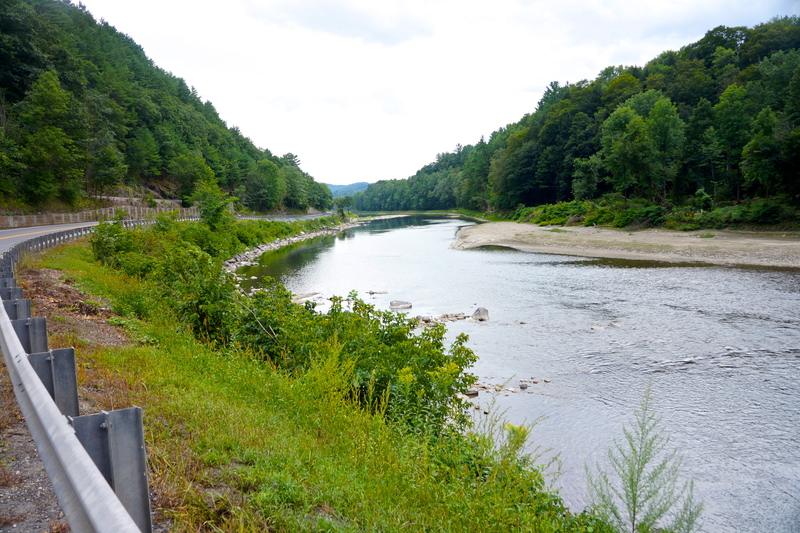 View of a valley in Vermont that we traveled today. 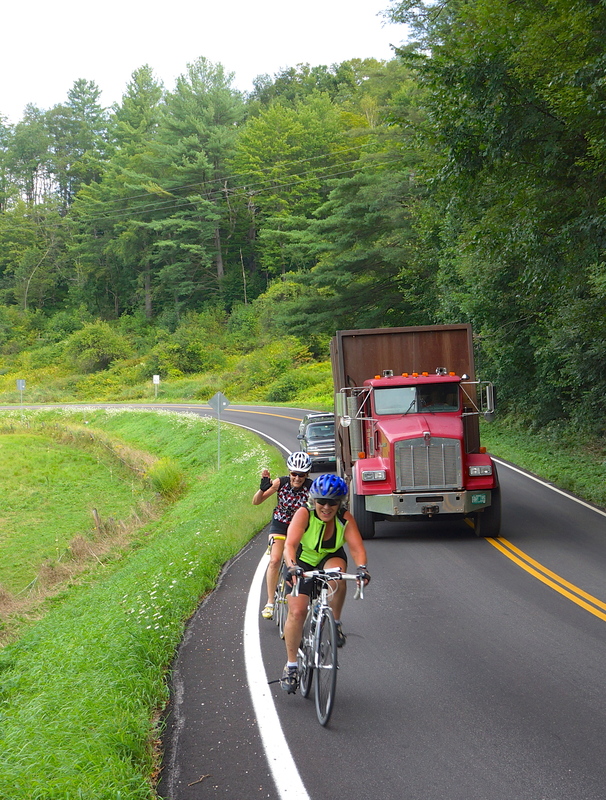 The climb from Middlebury to Middlebury Gap may have been the most difficult climb of the entire trip. 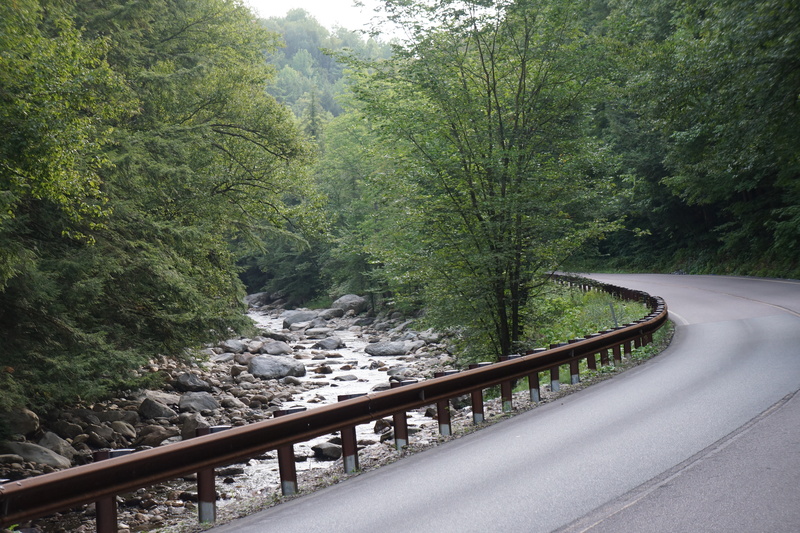 It was not the elevation gain (about 1,600 feet), but the grade (several miles at 11% to 14%) and road surface (new rough pavement). Glad it came at the end of the trip. A highlight of the ride was traveling through the campus of the Bread Load School of English (see photos) where Robert Frost taught. 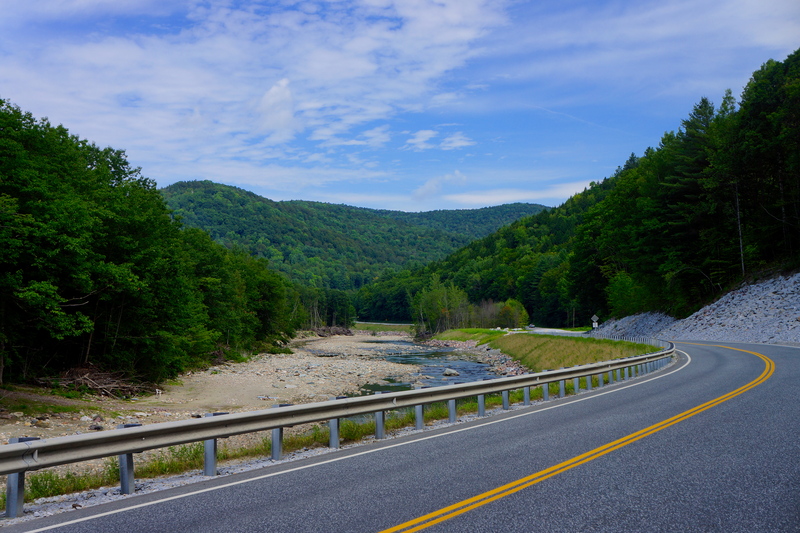 The scenery was beautiful for the entire route today, but did include some heavily travels roads. 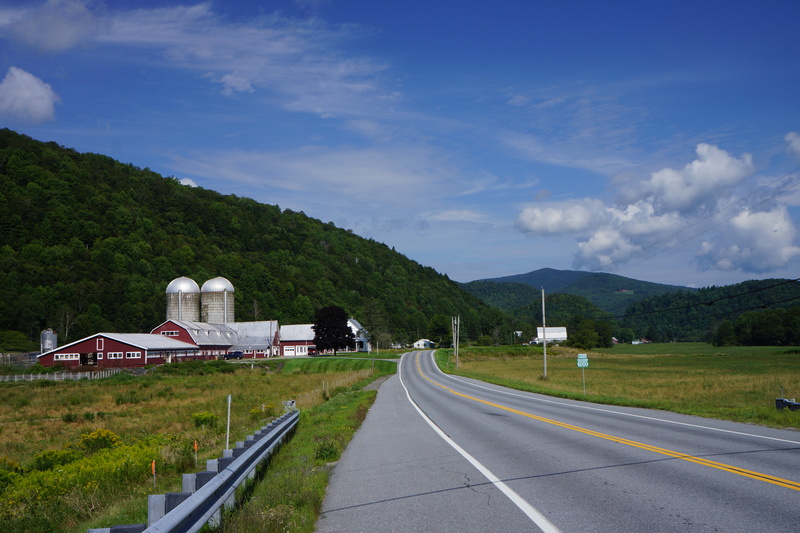 View of our climb up Route 125 to the Middlebury Gap. View of the Vermont mountains from the Campus of the Bread Loaf School of English. 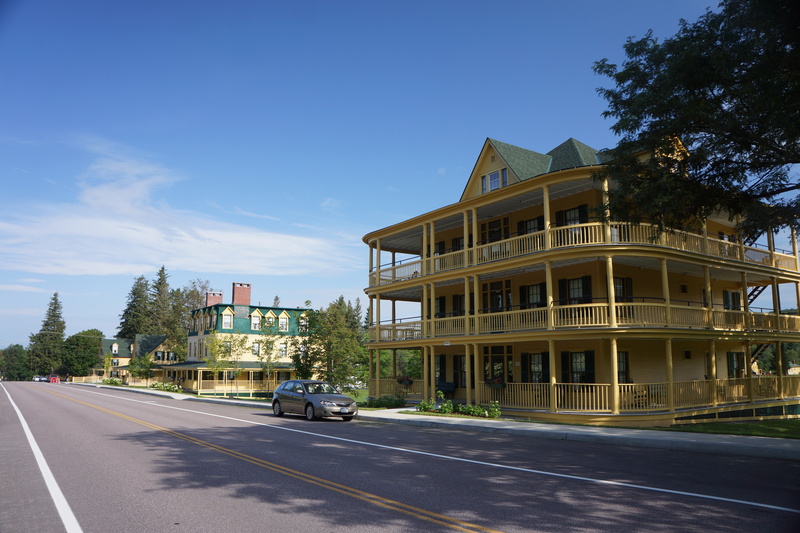 Middlebury established the Bread Loaf School of English in 1919 with involvement of Robert Frost who taught there to provide graduate education in the fields of English and American literature, public speaking, creative writing, dramatic production, and the teaching of English. 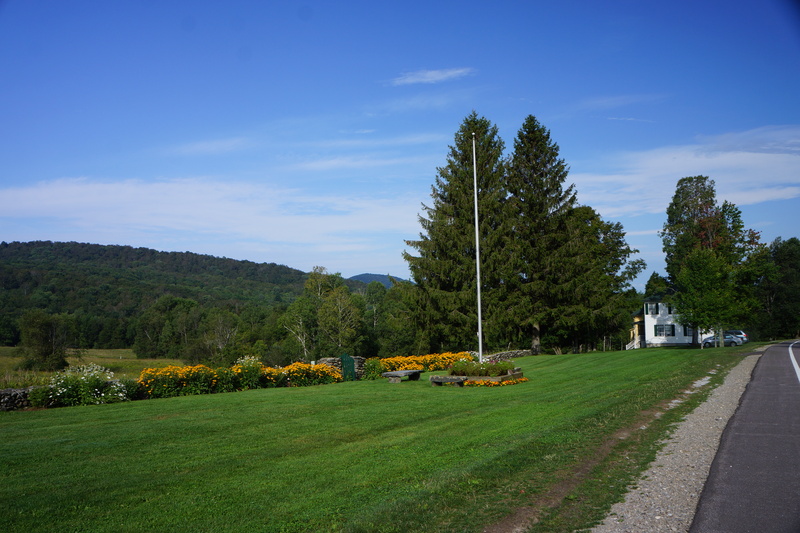 Another view of the campus of Bread Loaf School of English. 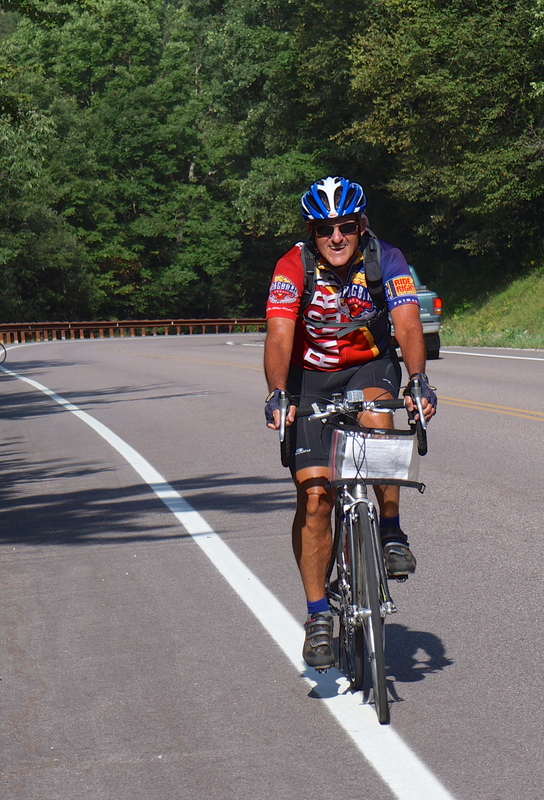 Fellow biker Steve climbing to Middlebury Gap. Robert and Doug on the route today. 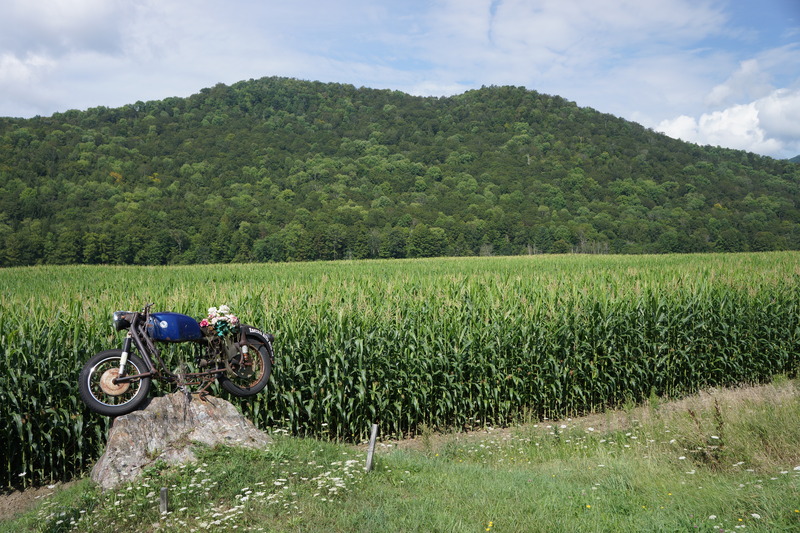 I stopped to take this photo of a strange monument, an antique motorcycle mounted on a rock. A man from a house across the street from it called me over to explain it. A good friend who was a BMW motorcycle mechanic died in his sleep several years ago when he was 50. In his honor his friends took one of his motorcycles and mounted it on the side of the road as a memorial to him. 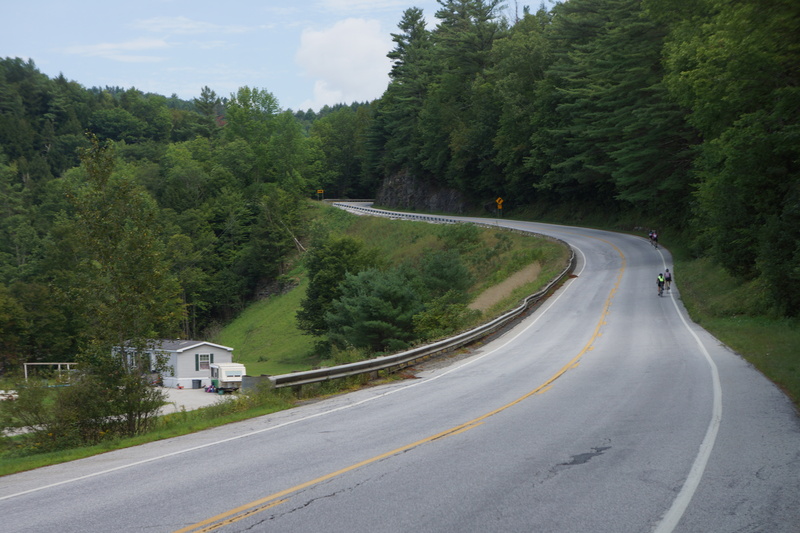 Bikers Mollie and Joanne on the busy road today approaching Royalton, VT.
View of four of our bikers climbing a hill near Royalton, VT.
View of the road we climbed out of South Royalton, VT.
View of the final miles into White River Junction, VT.